The cotton elastane fabric is soft and stretchy and not too light or flimsy, perfect to team with any casual jeans, pants or summer shorts. Love, Rowena and the birdsnest girls x From Betty Basics your everyday tee gets a makeover in the Sequin Cara Tee. 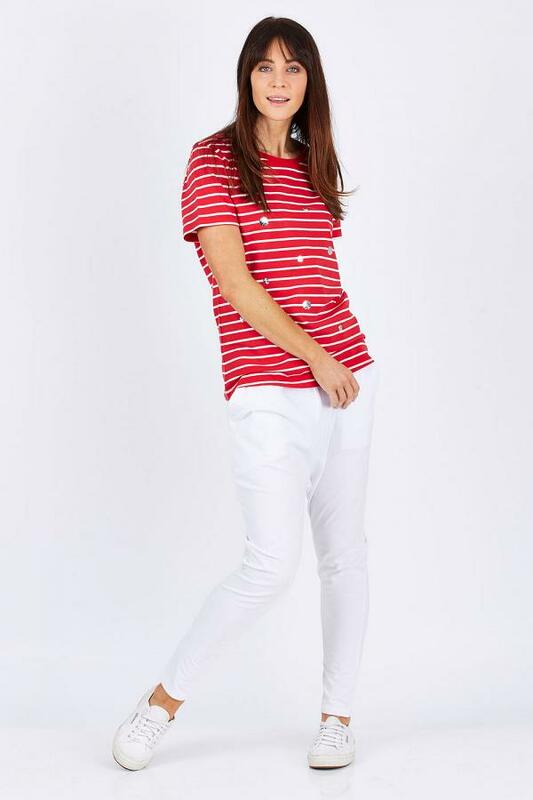 With a choice of colours and stripes these tees are a simple grab for everyday wear with a touch of pizazz. Embellished on the front with the playful sequin flower design, they just add that little point of difference for extra summer fun. This is the lowest price seen on this item at Ezibuy in the last 12 months! This is the lowest price ever spotted on this item at Peter Alexander!